Johann Baptist Joseph Maximilian Reger (19 March 1873 –11 May 1916), commonly known as Max Reger, was a German composer, pianist, organist, conductor, and academic teacher. He worked as a concert pianist, as a musical director at the Leipzig University Church, as a professor at the Royal Conservatory in Leipzig, and as a music director at the court of Duke Georg II of Saxe-Meiningen. The Paulinerkirche was a church on the Augustusplatz in Leipzig. It was built in 1231 as the Klosterkirche St. Pauli for the Dominican monastery in Leipzig. From the foundation of the University of Leipzig in 1409, it served as the university church. After the Protestant Reformation it was donated to the university and was inaugurated in 1545 by Martin Luther as the Universitätskirche St. Pauli, later also called Unikirche. Johann Sebastian Bach was director of music for "festal" (holiday) services in 1723−25. Reger first composed mainly Lieder , chamber music, choral music and works for piano and organ. He later turned to orchestral compositions, such as the popular Variations and Fugue on a Theme by Mozart , and to works for choir and orchestra such as Gesang der Verklärten (1903), Der 100. Psalm (1909), Der Einsiedler and the Hebbel Requiem (both 1915). The Variations and Fugue on a Theme by Mozart, Op. 132, is a set of variations for orchestra composed in 1914 by Max Reger; the composer conducted the premiere in Berlin on 5 February 1915. He later produced a version for two pianos, Op. 132a, where the Variation 8 ("Moderato") is completely different. Gesang der Verklärten, Op. 71, is a composition by Max Reger for a mixed five-part choir and orchestra, a late Romantic setting of a poem by Carl Busse. Reger composed the work in 1903. He dedicated it to "Meiner geliebten Frau Elsa". It was published in 1905 and first performed in Aachen on 18 January 1906 by the municipal choir and orchestra, conducted by Eberhard Schwickerath. Born in Brand, Bavaria, Reger studied music theory in Sondershausen, then piano and theory in Wiesbaden. The first compositions to which he assigned opus numbers were chamber music and Lieder . A concert pianist himself, he composed works for both piano and organ. His first work for choir and piano to which he assigned an opus number was Drei Chöre . Sondershausen is a town in Thuringia, Germany, capital of the Kyffhäuserkreis district, situated about 50 km north of Erfurt. On 1 December 2007, the former municipality Schernberg was incorporated by Sondershausen. 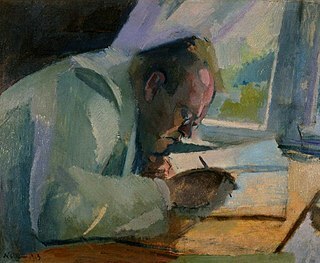 Elsa Reger was a German writer, the wife of the pianist and composer Max Reger, whose memory she kept alive by founding an archive, the Max-Reger-Institute and a foundation, all dedicated to him and his work. The foundation is now named after her. Sechs Lieder, Op. 35, is a set of six Lieder for medium voice and piano by Max Reger. He composed the first five of them in Berchtesgaden in June and July 1899, and the last one in Weiden in August that year. Dedicated to different people, they were published by Jos. Aibl Verlag in Munich the same year. Divorce, also known as dissolution of marriage, is the process of terminating a marriage or marital union. Divorce usually entails the canceling or reorganizing of the legal duties and responsibilities of marriage, thus dissolving the bonds of matrimony between a married couple under the rule of law of the particular country or state. Divorce laws vary considerably around the world, but in most countries divorce requires the sanction of a court or other authority in a legal process, which may involve issues of distribution of property, child custody, alimony, child visitation / access, parenting time, child support, and division of debt. In most countries, monogamy is required by law, so divorce allows each former partner to marry another person; where polygyny is legal but polyandry is not, divorce allows the woman to marry another person. Der 100. Psalm, Op. 106, is a composition in four movements by Max Reger in D major for mixed choir and orchestra, a late Romantic setting of Psalm 100. Reger began composing the work in 1908 for the 350th anniversary of Jena University. The occasion was celebrated that year with the premiere of Part I, conducted by Fritz Stein on 31 July. Reger completed the composition in 1909. It was published that year and premiered simultaneously on 23 February 1910 in Chemnitz, conducted by the composer, and in Breslau, conducted by Georg Dohrn. Chemnitz, known from 1953 to 1990 as Karl-Marx-Stadt, is the third-largest city in the Free State of Saxony, Germany. Chemnitz is an independent city which is not part of any county and seat of the Landesdirektion Sachsen. Located in the northern foothills of the Ore Mountains, it is part of the Central German Metropolitan Region. The city's economy is based on the service sector and manufacturing industry. Chemnitz University of Technology has around 10,000 students. In 1911 Reger was appointed Hofkapellmeister (music director) at the court of Duke Georg II of Saxe-Meiningen, responsible also for music at the Meiningen Court Theatre. He retained his master class at the Leipzig conservatory. In 1913 he composed four tone poems on paintings by Arnold Böcklin (Vier Tongedichte nach Arnold Böcklin), including Die Toteninsel ( Isle of the Dead ), as his Op. 128. The Meiningen Theatre, today Meininger Staatstheater, is a four-division theater in the Thuringian town of Meiningen. The theatre offers music theatre, drama, concerts and puppet theatre. The programme is further enhanced by the inclusion of ballet performances produced and performed by Landestheater Eisenach. The orchestra affiliated with the theatre is the Meininger Hofkapelle. Until 2017, the theatre operated as "Südthüringisches Staatstheater" before changing its name to "Meininger Staatstheater". It is jointly funded by the state, city and county of Schmalkalden Meiningen under the umbrella of the Cultural Foundation Meiningen-Eisenach, Thuringia. Arnold Böcklin was a Swiss symbolist painter. Isle of the Dead is the best-known painting of Swiss Symbolist artist Arnold Böcklin (1827–1901). Prints were very popular in central Europe in the early 20th century—Vladimir Nabokov observed in his novel Despair that they could be "found in every Berlin home". Reger wrote a large amount of music for organ, the most popular being his Fantasy and Fugue on BACH , Op. 46 and the Toccata and Fugue in D minor from the collection Op. 129. While a student under Hugo Riemann in Wiesbaden, Reger met the German organist, Karl Straube; they became friends and Straube premiered many of Reger's organ works, such as the Three chorale fantasias, Op. 52. Reger recorded some of his works on the Welte Philharmonic organ, including excerpt from 52 Chorale Preludes, Op. 67. He composed organ works for secular use, such as Introduction, Passacaglia and Fugue, Op. 127, dedicated to Karl Straube who played the premiere at the 1913 opening of the Breslau Centennial Hall. Heinrich Picot de Peccaduc, Freiherr von Herzogenberg was an Austrian composer and conductor descended from a French aristocratic family. Wilhelm Reinhard Berger was a German composer, pianist and conductor. Max Reger's 1915 Requiem, Op. 144b, is a late Romantic setting of Friedrich Hebbel's poem "Requiem" for alto or baritone solo, chorus and orchestra. It is Reger's last completed work for chorus and orchestra, dedicated in the autograph as Dem Andenken der im Kriege 1914/15 gefallenen deutschen Helden. Unser lieben Frauen Traum Op. 138, No. 4, is a sacred motet for unaccompanied mixed choir by Max Reger. The German text is a poem by an anonymous poet, derived from a Volkslied. The piece is in F major and scored for up to six voices, SSATBB. Composed in Meiningen in 1914, it was published in 1916 after Reger's death as the fourth of Acht geistliche Gesänge. It is often performed in Advent. Der Mensch lebt und bestehet, Op. 138, No. 1, is a sacred motet for unaccompanied mixed choir by Max Reger. The German text is a poem by Matthias Claudius, beginning with "Der Mensch lebt und bestehet nur eine kleine Zeit". The piece is in A minor and scored for eight voices in two choirs SATB. Composed in Meiningen in 1914, it was published in 1916 after Reger's death as the first of Acht geistliche Gesänge. Nachtlied Op. 138, No. 3, is a sacred motet for unaccompanied mixed choir by Max Reger. The German text is a poem by Petrus Herbert, beginning "Die Nacht ist kommen". The piece is in B minor and scored for five voices SATBB. Composed in Meiningen in 1914, it was published in 1916 after Reger's death as the third of Acht geistliche Gesänge. Der Einsiedler Op. 144a, is a composition for baritone soloist, five-part choir and orchestra by Max Reger, written in 1915. The German text is a poem by Joseph von Eichendorff, beginning "Komm' Trost der Welt, du stille Nacht". The composition was published in 1916 after Reger's death by N. Simrock, combined with the Hebbel Requiem, as Zwei Gesänge für gemischten Chor mit Orchester, Op. 144. Zwei Choralphantasien, Op. 40, are fantasias for organ by Max Reger. He composed the fantasias in 1899 on two chorales: "Wie schön leucht't uns der Morgenstern" and "Straf mich nicht in deinem Zorn!" They were published by Musikverlag Josef Aibl in Munich in May 1900. Zwölf Stücke, Op. 65, is a group of twelve pieces for organ by Max Reger, composed in Munich in 1902. They were published by C. F. Peters in Leipzig in August of that year, in two books (Heft) of six pieces each. Zwölf Stücke, Op. 80, is a group of twelve pieces for organ by Max Reger. He composed them in Munich in 1902 and 1904. They were published by C. F. Peters in Leipzig in September 1904. Ein' feste Burg ist unser Gott, Op. 27, is a chorale fantasia for organ by Max Reger. He composed it in 1898 on Luther's hymn "Ein feste Burg ist unser Gott". The full title is Phantasie über den Choral "Ein' feste Burg ist unser Gott". Sieben Stücke für Orgel, Op. 145, is a collection of seven compositions for organ by Max Reger. He composed the work in three groups in 1915 and 1916. The titles of seven individual character pieces reflect aspects of World War I and Christian feasts. The compositions are based on traditional German hymns, sometimes combining several in one piece. Reger's last work for organ, it was published, again in three installments, in 1915 and 1916. Die Weihe der Nacht, Op. 119, is a choral composition for alto, men's choir and orchestra by Max Reger, setting a poem by Friedrich Hebbel. He composed it in Leipzig in 1911 and dedicated it to Gertrud Fischer-Maretzki, the soloist in the first performance. It was published by Ed. Bote & G. Bock in Berlin the same year. Introduction, Passacaglia and Fugue in E minor, Op. 127, is an extended composition for organ by Max Reger, composed in 1913 and dedicated to Karl Straube who played the premiere in Breslau on 24 September. It was published in November that year in Berlin by Bote & Bock. 1 2 3 4 5 6 7 8 9 10 Biography 2012. Krumbiegel, Martin (2014). Sichardt, Martina, ed. Von der Kunst der Beschränkung / Aufführungspraktische Überlegungen zu Max Regers "Der Mensch lebt und bestehet nur eine kleine Zeit", op. 138, Nr. 1. Annäherungen an Max Reger (in German). Georg Olms Verlag. pp. 231–243. Lux, Antonius, ed. (1963). Große Frauen der Weltgeschichte. Tausend Biographien in Wort und Bild (in German). Munich: Sebastian Lux Verlag [ de ]. p. 386. Traxler, Carol. "Max Reger". Archived from the original on 2009-10-25. Retrieved 2013-10-19. "Max Reger Curriculum vitae". Max-Reger-Institute . Retrieved 2 October 2012. "Reger: Acht geistliche Gesänge op. 138 (Carus Classics)". Carus-Verlag . Retrieved 26 November 2015. Wikimedia Commons has media related to Max Reger .